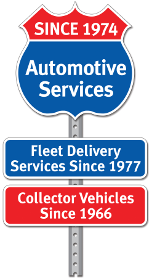 Where does Route 36 Motor Cars get its vehicles? What types of financing does Route 36 Motor Cars provide? We offer bank and manufacture lending for purchase finance and leasing programs. Yes, we accept trades! Other than our unique pricing and soft approach sales style we operate like typical automobile dealerships besides we may have a waiting buyer for your present vehicle. What type of vehicle warranties are available? Vehicles purchased or leased may still have the balance of the factory warranty. We also offer extended service contract coverage, from nationally recognized companies, with varying terms and benefits. What if I want a new vehicle? Some people insist on buying "new" and we can arrange for new vehicle deliveries as well. We’ve developed a network of “fleet-friendly” dealers that work with Route 36 Motor Cars to assure our clients a competitive price without the typical new car store hassles.